There is no denying, it bed bugs are a problem in Seattle. We hear more and more about them popping up in the most unexpected places. Bed bugs travel easily in your luggage and they can show up anywhere from the cleanest and nicest hotel in Seattle to a run down motel on the side of the highway. Bed bugs are so hard to get rid of because they are incredible hiders and they procreate at an astounding rate. 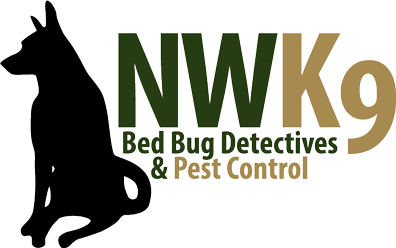 If you feel that you have bed bugs then you need to turn to Northwest K9 Bed Bug Detectives for Seattle’s best bed bug inspection and extermination. We keep families safe while providing effective bed bug extermination through the use of many different non-toxic techniques. Bed bugs are such a bad problem because they can hatch and come out of the woodwork, in some cases even after extermination. A wonderful lasting method is the Cimi-Shield. This is a completely non-toxic method that will continue to kill bugs for up to 12 months after treatment has been implemented. With Cimi-Shield, you can rest easy in knowing that your bed bug problem has been taken care of. This is a wonderful green solution that is absolutely safe to use around pets and children. Although we live in a hot spot for bed bug activity, you do not have to worry. You have Seattle’s best bed bug inspection and extermination on your side. If you feel that you have a bed bug problem, do not wait, call us today.